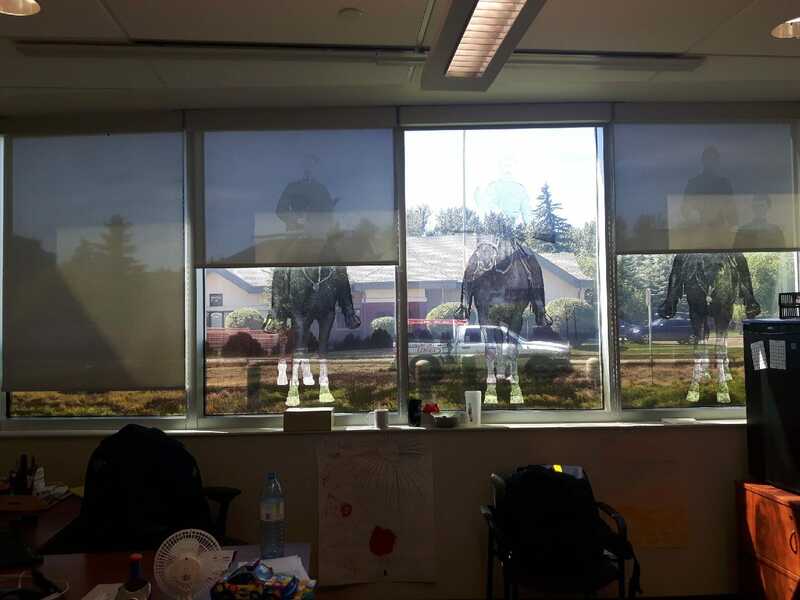 The Red Deer RCMP have been searching for months for a solution to help reduce unbearable heat penetrating their windows in some offices, which get direct sunlight all day. Some days the heat in the office was unbearable and no matter what they tried, it did not seem to help, even with the air conditioning turned on high. Introduction and application of SketchNanoGard HC, which blocks 99.9% of UV rays, 75% of Infrared rays, has a Solar Heat Gain Coefficient of 0.35 and Visible Light Transmission of 80%. SketchNanoGard Thermal also reduces heating loss through windows in the colder periods. The offices were treated with SketchNanoGard-HC, resulting in no impact on Visible Light Transmission, but positive results on regaining a comfortable work environment. Due to the positive results, on-going applications are being planned.